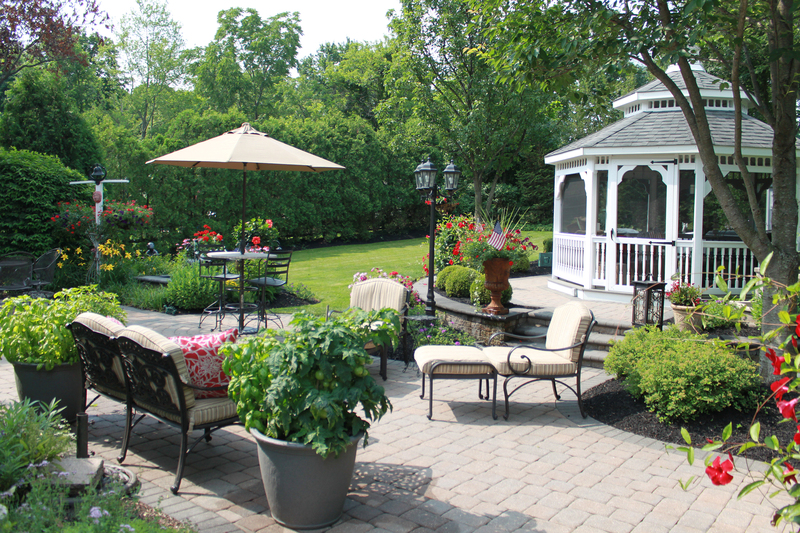 This Warrington residence backyard was completed over several years and demonstrates a family’s love of the outdoors and gardening. The intention was to expand living space outside by having different areas of the yard used as outdoor rooms each with its own purpose. Each different space provides a unique garden view. Main large dining patio, with sitting area near grill. 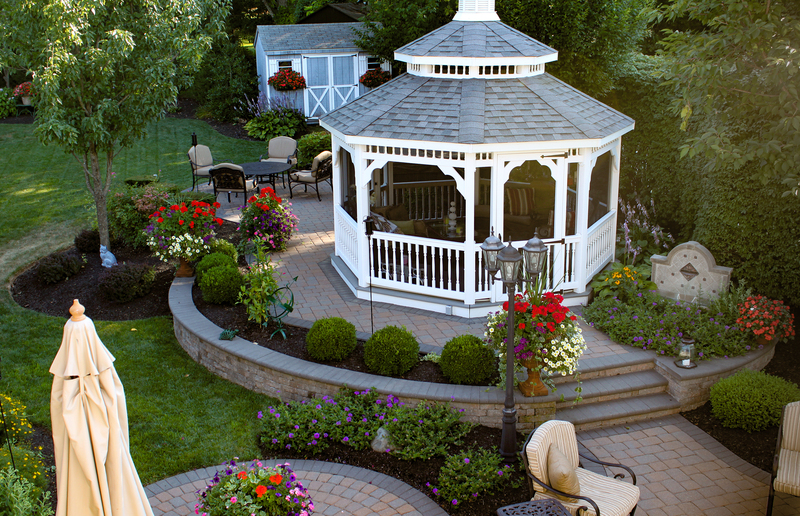 Maintenance free vinyl Gazebo to escape burning summer sun. Upper patio used to gather family and guests after dinner fireside. 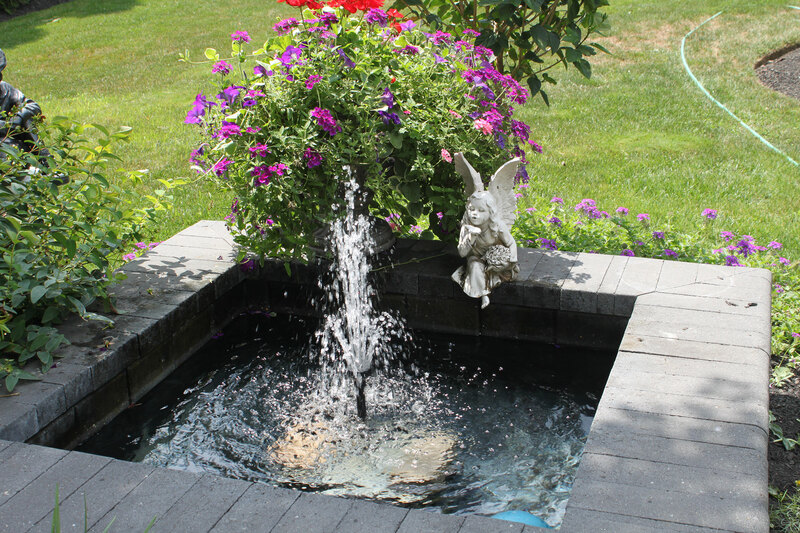 Two water fountains to add allure to the garden setting. Hot Tub located behind gazebo structure for added privacy. Storage shed to hold all garden tools and lawn equipment. 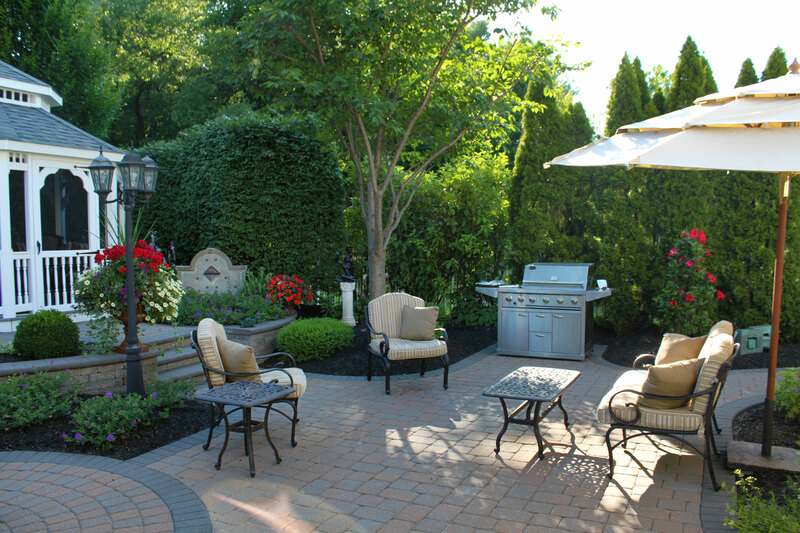 Extensive privacy plantings to allow a small lot to feel intimate. Herb and vegetable garden planted close to grill for easy access. Abundant flowering baskets, perennials and ground covers to attract birds. 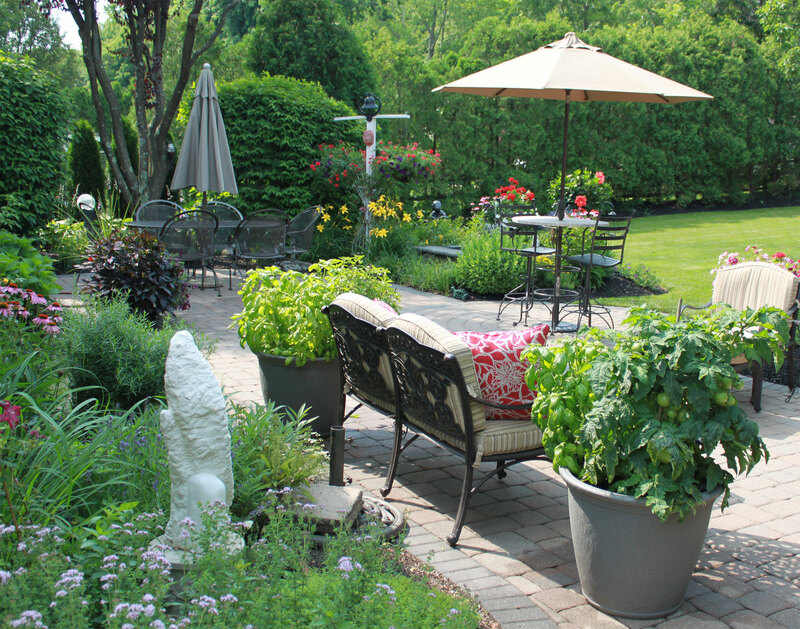 Sign Up for free expert landscape tips! 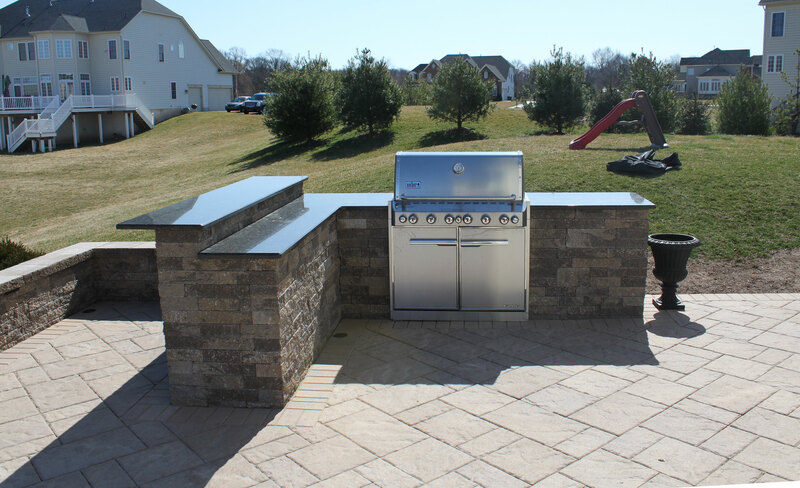 Stop dreaming – start living your outdoor oasis today! Contact us now to get started or to schedule your free consultation. We welcome your questions and comments. Call 215-491-0767 now.